There's plenty of room for 5 people in our vacation. The kitchen and living room overlook Kenmare Bay, on sunny days you can enjoy the view from the terrace. A 2nd living room is available for TV (Satellite) or games. For rainy days you can enjoy games, dvd and satelite tv, books, material for drawing and painting, umbrellas for a walk in the rain and a torch in case you walk in the dark. You are alright in 'House on the Sea - Ard na Mara' if you love cooking, as there are good knives, proper pots and a dishwasher for the cleaning. Fresh fish and lobster can be provided by the neighbour or by Shellfish de la Mer in Castletownbere. 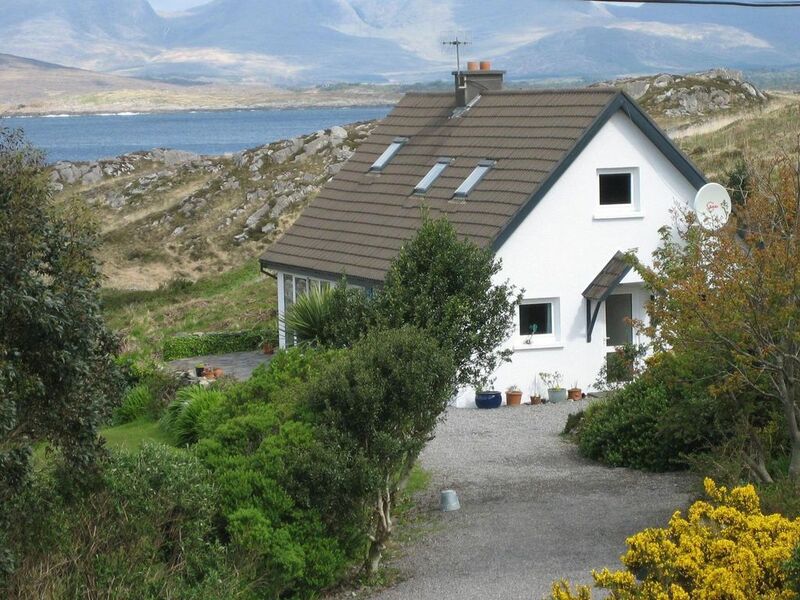 The house is located on the sea side (cliffs - no beach), Ring of Beara, most scenic landscape. From your window, you see the sea and the Kerry Mountains on the other side of the bay. The nearest village is Ardgroom with a general store and several cosy pubs, next towns: Castletownbere (25 km) and Kenmare (37 km). The Sleevish and Miskish Mountains offer a wide range of walks, fishing in Glenmore and Glenbeg Lake, Derryvegil Lake, Lough Fada. Golf Courses in Kenmare, Castletownbere and Bantry, Horse riding nearby.